Self confidence is said to be a genetic or god-given trait. Largely something you’re born with. Just as there are natural leaders and followers, there are people with self confidence and others with little to none. But the interesting thing about self confidence which many people don’t realize is that it can be built up if you have the drive, the willingness and the work ethic to make it happen. Many famous people throughout the world would tell you how little self confidence they had growing up. But they had the motivation to continue working hard to gather the confidence within themselves which they didn’t think they had initially. They worked hard to find success and ultimately achieved it. If your thinking is that you don’t have the self confidence to make for a better life or be the person you always dreamed of being, there are many out there who will tell you otherwise. The fact that others managed to gain self confidence and be successful is a wake up call to anyone who thinks that it’s impossible to do the same. 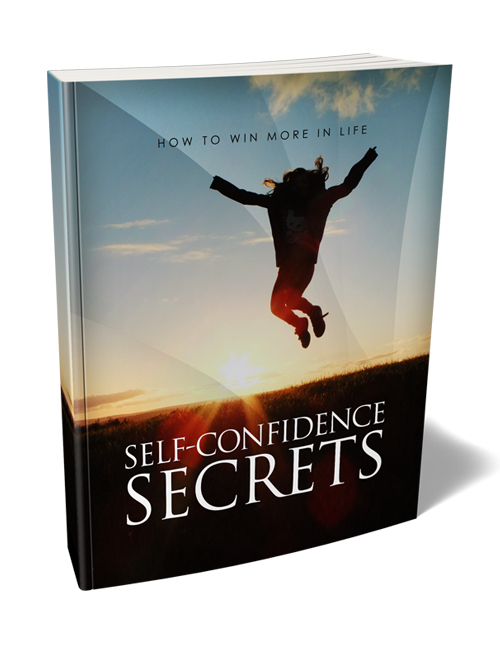 In this guide which also includes the Self Confidence video course, you’re going to discover how to rock the world and become the version of you that you never thought existed. You’ll learn the differences and similarities between competence, self esteem and self confidence. You’ll also learn how you can smash through any obstacle through the power of self confidence, how competence is the driving force in achieving confidence, gaining more control of your life and much more. Nothing in life can work if you don’t have at least some form of confidence in order to achieve bigger and better things. We all have something within us to improve our lives. We all desire happiness and harmony and comfort. Dreaming about it is one thing but doing it is another. This course is to get you making the practical moves towards becoming a much more confident you. When you’re ready, make your move by hitting the download button. Package includes a professional sales-letter and ready-to-go sales materials.